To CV or not to CV, that is the question. Welcome back to the View from the Monolith! I’ve spent the last few years siloed in a monolithic organisation, but now I am adventuring in the world of startups. In this blog, I share the learning I glean along the way. 2CV or not 2CV? Wait… no, that’s not right. So, obviously, I have a CV. I’ve taken the various and contradictory advice I’ve received about CVs over the years and distilled it into something I am happy with: it’s two pages, but with plenty of white space to keep it readable. It has a personal statement, emphasises the things I want to sell, downplays the less important items, and focuses on my achievements in my job history, rather than my duties. I even have variations of it for when I’m applying for different roles — for trainer vacancies, I include excerpts from feedback forms for sessions I’ve run, for example. But I still worry, is it old-fashioned? I’ve been advised that my CV should only be one page long. That it should have a photo. Design elements. A skills summary? And of course, I’m in Finland now, I also need a CV in Finnish. 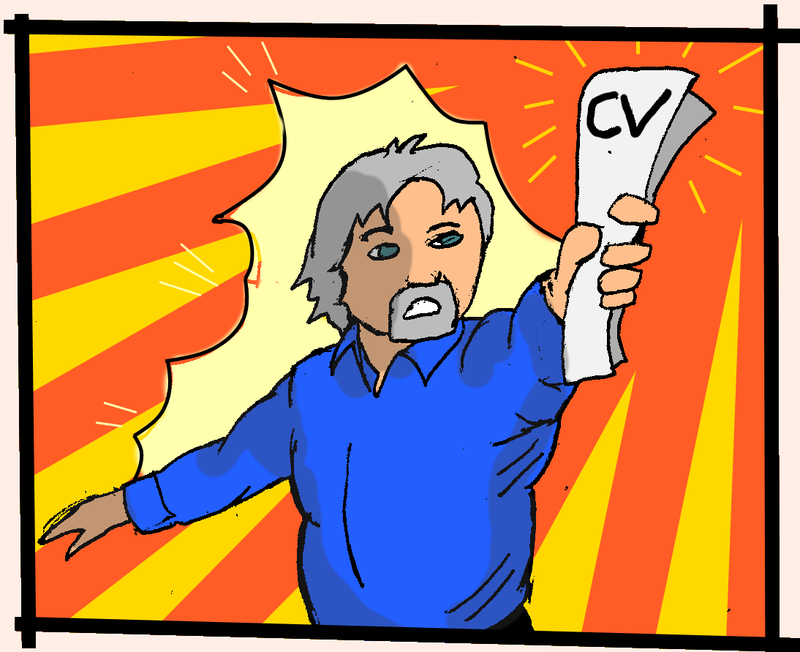 There is no such thing as an ideal CV. Even if I somehow managed to blend all of the contradictory advice into a single shining exemplar document, that doesn’t mean that the person who reads it agrees with that CV philosophy. Though it does help if you don’t have spelling mistakes on it, particularly if you’ve listed “Attention to detal” under your skills. That would be super embarassing. I imagine. Ahem. I don’t know if you’ve noticed, but we live in the future now. And is the CV just a bit… 20th Century? Certainly if you’re searching for jobs in the startup community on sites like The Hub, having a professional, appealing, LinkedIn profile is a huge asset. It can not only make applying for that job quicker, but LinkedIn is also a great way to communicate, to get noticed and to do a spot of old-fashioned (new-fashioned?) employment stalking. If you choose to go that route, it is as important to give as much time and attention to crafting your LinkedIn profile as you might to a new draft of your CV. It is a sales front, and you want it to stand out (for the right reasons), as much as you would want your CV to get noticed. Since taking on LinkedIn more conscientiously, I’ve noticed more visits to my profile page, and I’ve shown up in more searches. It means building your brand, being active on there, and posting updates (like these blog posts, hello people reading this because of a LinkedIn link!). And don’t miss a chance to provide a link to your profile, if the opportunity arises organically, obviously. Like, this, for example. I’ve talked before about recruitment at startups, and their tendency to hire people they know. And while a CV and a good LinkedIn page can tell people about you, there is the old adage that it is better to show than tell. If you want people to know you, it’s better to show them. Attend network events. Make a connection. Don’t just job seek; go for coffee with someone from the startup you’re interested in, seek a relationship. I received a very useful piece of advice recently: if you’re looking for a more creative post, or something in coding, make sure you have an interesting store front of examples of your work. Showing someone what you can do will be better at making that connection than just telling them your employment history. If what you can do matches what the startup needs, there’s time for the CV, later. Do you want to know what I can do? I’m glad you asked. Why don’t I show you? So do you need a CV? Yes. Obviously. But in the 21st Century, particularly if you’re on your own adventure in the startup community, perhaps you need to think about other formats to put yourself out there too.